Posted on June 10, 2012, in Site Visits and tagged Japan, Michigan State University, MSU, Study Abroad, Technology. Bookmark the permalink. 3 Comments. Dai Nippon Printing was a great site visit and really shows how the new technologies we saw previously can be effectively used in real-life. Creating an interactive experience for museums would be something that would enhance anyones experience and it would be something people haven’t used much before. Tour guides could explain how to use these technologies rather placing it in a location in like a subway and expect people to know how to use it. I see much potential with Dai Nippon Printing’s technologies. DNP was very interesting because of it’s creative ways to interact with a younger crowd. I like how they created this vision to capture the modern day with the past to make art seem a lot more entertaining. It’s impressive to see how companies in Japan not satisfied with what they have done but keeps on developing. 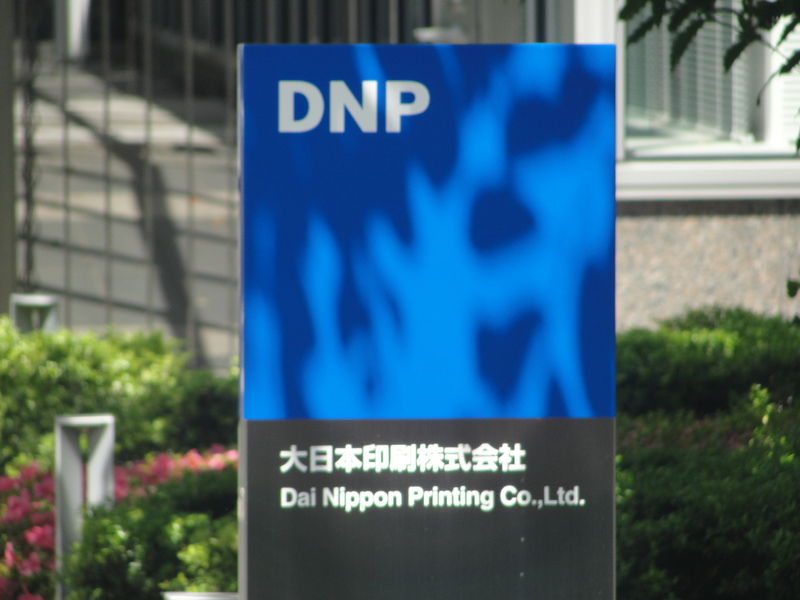 DNP is a printing company originally. However, they pridicted that paper might be replaced with other materials in the future, so they keep innovating other technology to remain competitive.